Do you know what I love? Iced Tea. Not the weird American Iced Tea though because thats just literally cold tea. Oh and alcohol. Not in a dependant way. In a ooo alcoholic iced tea sounds like a good idea way. So when Pago offered to send me crate of juice to create something with an idea was born. Ok, it wasn’t really born. 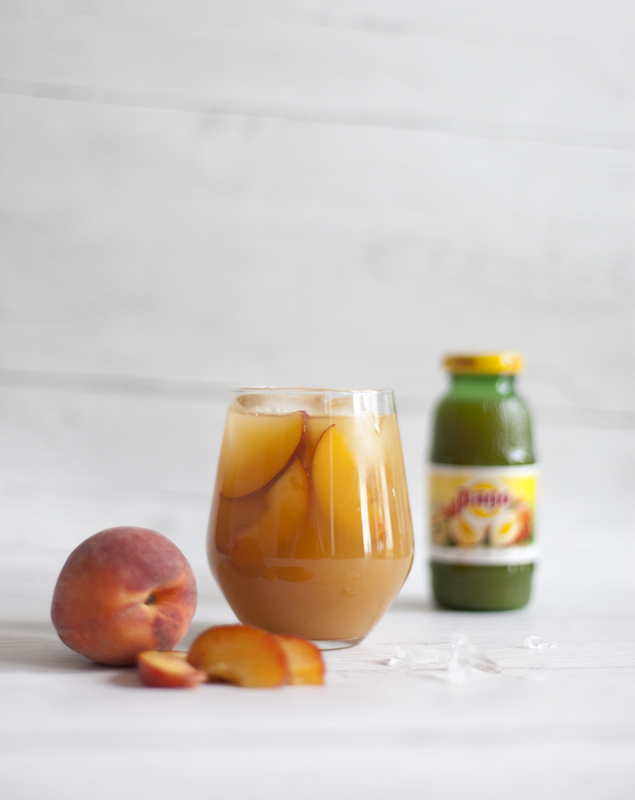 I wanted to make my own version of Starbucks Iced Peach Green Tea Lemonade. With a hint of something more weekend about it. 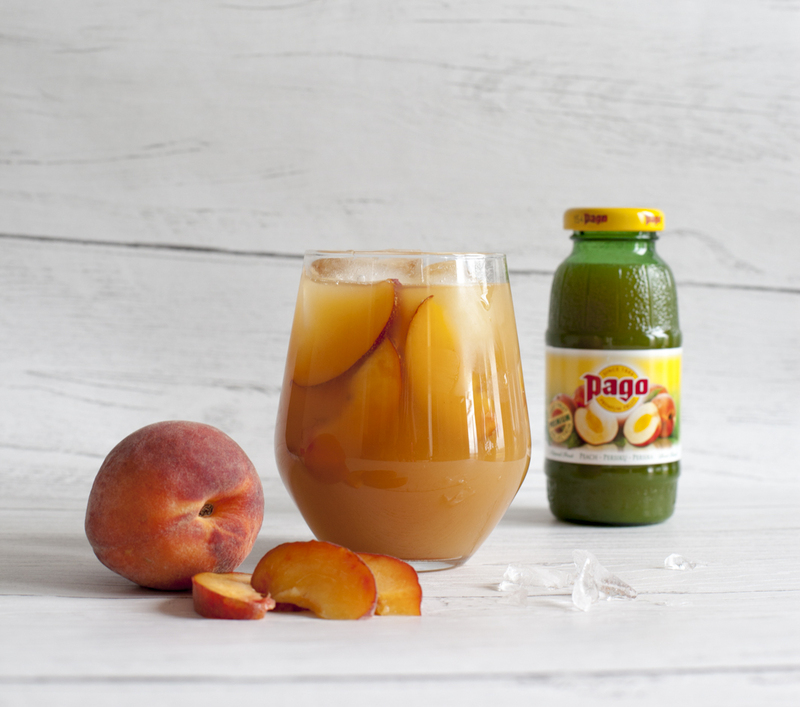 Pago comes in a variety of flavours but since I’m not so patiently waiting for summer to come and well my above mentioned love of iced tea I went for the classic peach. You can find all my other recipes here. And you can find Pago on twitter and instagram where they show case all there flavours. Next I need to try the Rhubarb and Pear because you know I live in the Rhubarb triangle and it would be rude not too!